Looks like all three of us survived my 5 days away from the boys. It really ain't that difficult I suppose, although both the big boy and the little man fell sick right after I stepped out of the country. I think it was really sweet that the Hubs and my mum decided to keep the fact that the boy had a HFMD scare so I can focus at work. I sure needed it. Other than a major presentation I had to prepare for, I wasn't quite prepared for how difficult the meeting was going to be. Let's just say I needed more than a little culture adjustment. Ah... but all's well ends well, and I am full up with all the yummy food I have been fed with. So diet here I come for the rest of the week before CNY hits us. I am not sure if I can do this work travel anytime soon, and I wonder how do these frequent flyers manage. I was exhuasted by the time I landed in Singapore. I could do with a full day's of sleep, only that my mothering duties had to take precedence. Whatever it is, I am glad to be home, even if it means I need to deal with the terrible two tantrums full on. 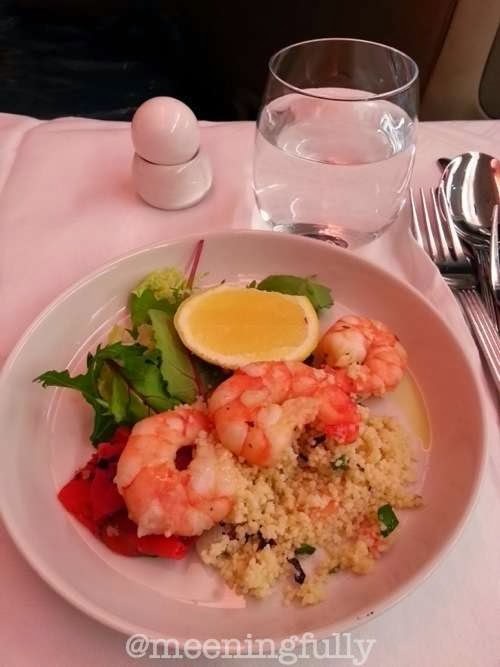 Lovely prawns and couscous on board the plane. A relatively good start to the trip. 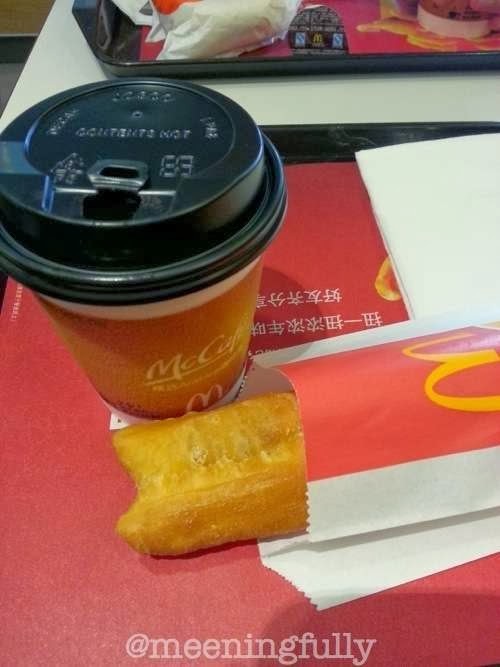 Breakfast of dough fritters and soya milk at the local McDonalds. 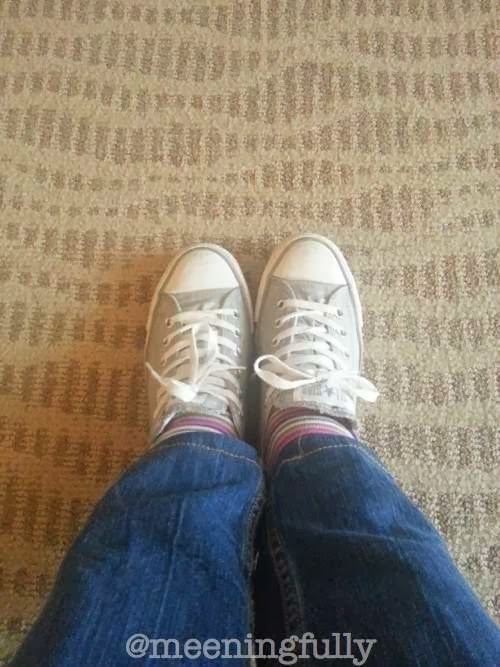 Reuniting with my sneakers after not wearing them for 3 years. 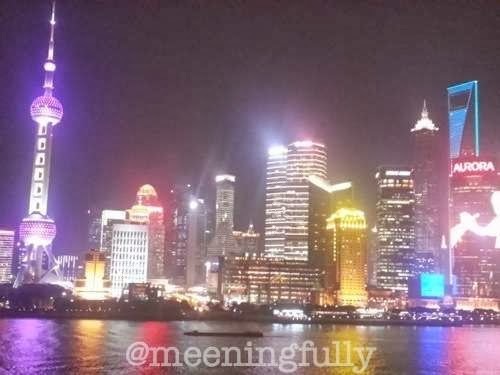 The hazy Shanghai night scene. A brief time to myself before heading home to the boys. I'd choose the boys anytime... really!